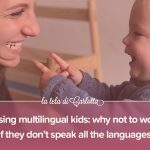 In my interview in the Congreso Online Montessori 2018, I was asked how parents who can’t speak English (or another foreign language) can introduce it in their kids’ life. 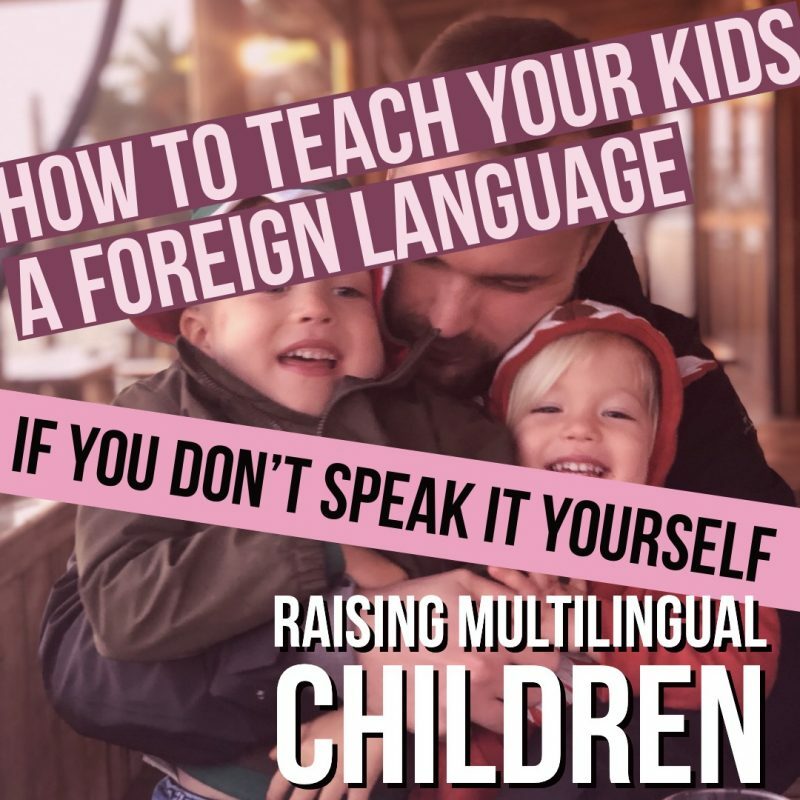 First of all, let me make it clear: you don’t need to speak a language to expose your children to that language. 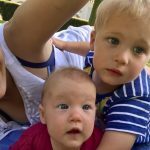 I say it all the time: children are geniuses at learning languages and if we expose them to a foreign language before the age of 6 (and especially between 0 and 3 years old; you might be interested in my post about the importance of the first three years) they will learn that language spontaneously. Kids before 6 can learn a language without effort on their part, but with a lot of effort from their parents. Parents are the ones who have to expose them to the language and, if they don’t speak the target language, they have to find creative ideas. 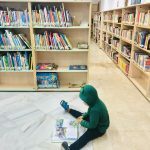 Here’s a few ideas that English parents can use to expose their kids to Spanish (I chose to write about this combination, because I get more enquiries about it, but it works in any language combination). It works best for children from 0 to 3 years old, but can be adapted (with different activities and game) for kids up until 6 years old. 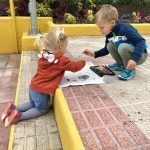 Find a Facebook group of mums and babies in your town/city and ask if they know of any Spanish activities for kids locally. This is by far, in my opinion, the best way to go about it: social media are very powerful in connecting people, and we should learn to use them to our advantage. Involve a group of mums with children (your kids’ friends), get together and hire a Spanish babysitter to direct the group: ask the babysitter to prepare games, songs and activities for your babies to do with you, and make sure the babysitter only speaks Spanish during that time. Look for activities (art, music…) or sport classes (swimming, tennis, football…) in your target language, sometimes you’ll be surprised how many you find. Look for alternative language classes for your kids: we don’t want kids to learn colors and numbers by heart, we want them to play in Spanish! If you’re in Marbella, I highly recommend Rocio’s activity morning at Bubble Marbella. Hire a Sanish babysitter. When looking for a babysitter, you can get two birds with one stone and find a person that will always speak English (and only English) to your children. 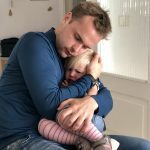 Many parents think their children will be lost, confused, or will find it more difficult to adapt if the babysitter speaks a different language, but I can assure that is not true: as long as the babysitter is engaging, children won’t even care about what language she/he speaks (that’s how their superpower brain works to learn languages). 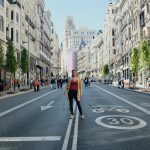 Listen to Spanish songs at home and dance to them! In this post, at the very end, you’ll find a YouTube channel of the best collections of songs to teach Spanish to your kids. 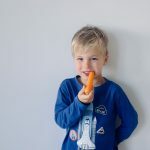 I personally don’t recommend giving children screen time before they’re three, but after, TV is a great tool to develop your children’s hearing and familiarity with a language. We prefer animal documentaries (the BBC Earth series and the National Geographic Blue Planet one are the best! ), but occasionally watch Curious George, our favorite cartoon. Alternatively to TV, you can listen to audiobooks when commuting in the car (we love it!). Any other ideas? Please, tell us all about it in the comments. 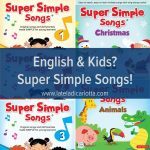 So today, I'd like to share with you an amazing tool that I absolutely loved as a teacher and even more as a mom: Super Simple Songs.